He voices one of the most iconic characters in global culture yet he could probably walk down the street and not receive a second glance from passers-by. 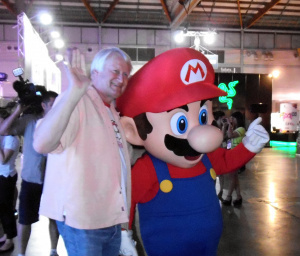 He is Charles Martinet, the man behind the voice of Nintendo's Mario, and has lent his vocal chords to the world-famous plumber for the best part of two decades. We got chance to speak to the great man at the recent EB Expo in Sydney, Australia. Nintendo Life: Throughout the years you’ve voiced so many characters; do you have a personal favourite, which character most represents Charles Martinet? Charles Martinet: I like to think Mario, I love the character so much, he’s so full of joy and optimism, and he faces challenges in life with a “Wahoo!”. Life’s an adventure, it’s a wonderful gift! NL: The first time I ever heard your voice was in the movie Nine Months, where I believe you played Arnie the Dinosaur. How do those movie experiences differ from voicing video games? CM: With acting, each thing you do is so very different, with video games it’s just full on energy and joy, it comes up out of the ground with a “Yahoo!”, it’s big and beautiful. I love Mario so much, that character is marvellous and I love every Mario game. New Super Mario Bros. U absolutely thrills me when I see it, with Balloon Yoshi and the new suits and the HD on the Wii U, it’s all so exciting. 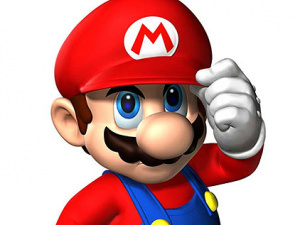 NL: I know what you mean about the HD, the first time I saw Mario in HD, I don’t know, it’s hard to describe! I guess it kind of blew my mind seeing Mario that clearly on TV. CM: Me too! It’s so amazing how beautiful it is, now you can get a big massive flat screen and see it all as clear as a bell! NL: A number of people are getting more well known for doing voices for video games, such as Nolan North and Jennifer Hale, do you think that voice actors do get the recognition they deserve? CM: To be honest, it’s to each his own, personally I’m happy exactly where I am, it’s a selective fame that’s wonderful! It’s fun to be able to come to an expo such as EB Expo and Armageddon Expo, meeting the fans is so fun because we are all Mario fans! That’s what’s great about my position and I’m really happy with the level of recognition that I get, and at the same time I can walk down the street when I leave here, and I’m anonymous again! I think voice actors are really lucky that way. NL: Following on from the past two questions, which other actors or characters do you admire within the games industry, past or present, does anybody inspire you in particular? CM: I’ve always looked up to Mel Blanc growing up, I always thought that he was just the greatest voice actor ever, and what a thrill for him to just be given a blank slate and told to create the world of animation voice overs. He was a true genius. NL: I feel lucky that I can be a part of a generation of people who grew up in the early years listening and watching Lou Albano as Mario, then spending their teenage years listening to Charles Martinet playing Mario; both portrayals seemed to fit the character perfectly, were you a fan of Lou’s work? CM: I never got to meet that gentleman, I’m sorry to say. I did enjoy the series; I have watched it and I thought it was very sweet. CM: If you want to be an actor, voice over talent, graphic designer, create video games, absolutely do it! Just give yourself the permission to do it, pursue your heart, look for your destiny, make your passions grow, and do what you love so you can commit to happiness, be committed to expressing your world through your joy. That’s what comes with it: happiness, because life is a gift. NL: Well thank you so much for your time Charles, it is very much appreciated. Great read Brad. Hope you had fun. did you get a hug from anyone? 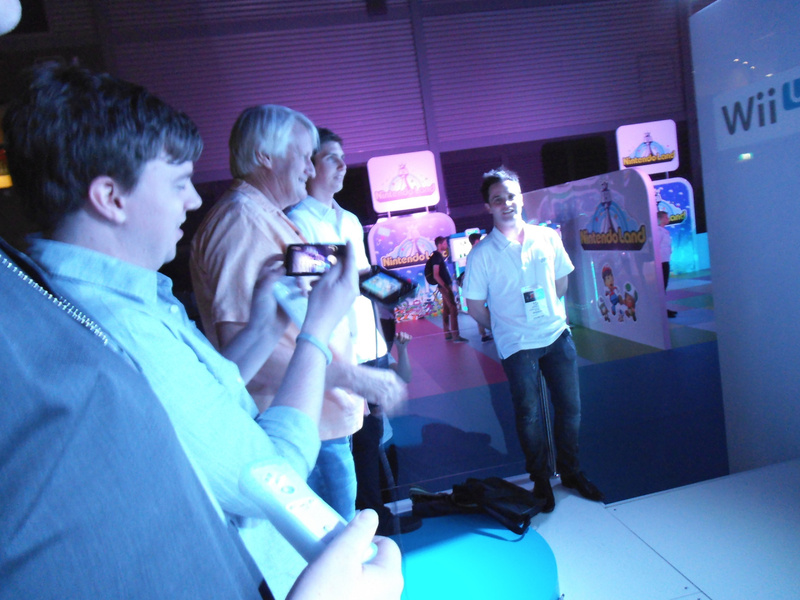 I wonder who that guy was in the picture playing Wii U with Charles. Awesome, awesome man. & a really great interview too, love what he said at the end, so true. Awesome interview, Charles Martinet seems like a very down to earth, really great guy. That video clip was actually kind of mind blowing... Nintendo Life and "It's a me, Mario!" in the same sentence, said by Mario himself. Just think about that for a minute, really makes me happy to be a Nintendo Life reader that's for sure. @MadAussieBloke and @Aviator: Thanks for the positive feedback guys! @Jayden: It was a Media/VIP night, so anyone who was there on the night was bound to be from another publication, even yours Thanks for joining the NLife community! Also, your link doesn't work. Charles Martinet, truly an awesome man whom I hear his voice so many times that I have tried to imitate him, but with no avail. Why? because he's simply unique and awesome. Charles Martinet seems like a very interesting man. This isn't the first interview I've seen with him. If I remember correctly, didn't he apply for the job with like, no preparation at all? That might be the Nintendo Week interview where he talked about that. @Dodger: Yeah he was told by a friend to crash the interview, which was something he thought he'd never do as he thought it would be rude. I've seen the question asked a lot in other interviews, so I asked him questions I couldn't find the answer of in other interviews with him hope you liked it! Wonderful! 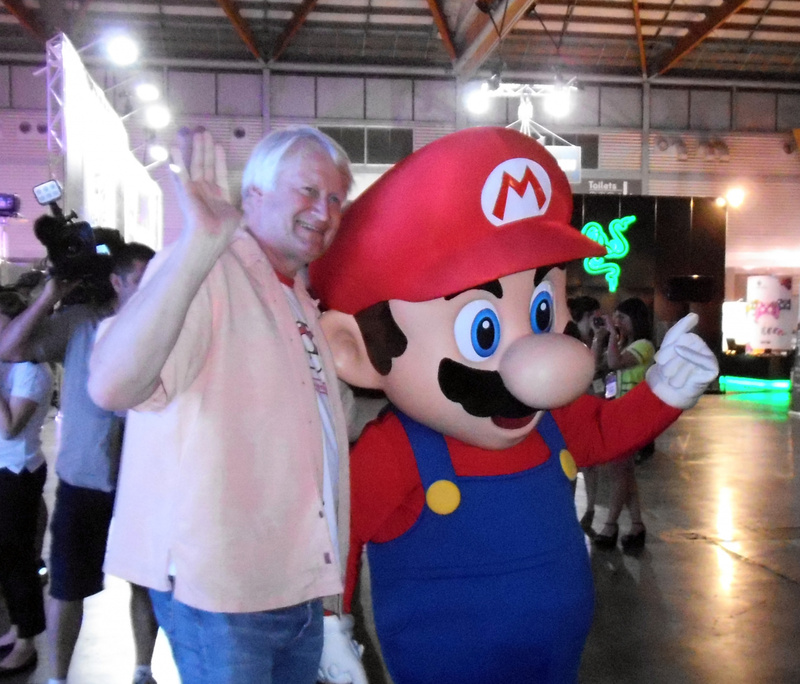 I saw Mr Martinet in Bogotá Colombia for NSMB2 launch in august, signed that copy and SM3DL, very patient and charismatic with people! even record his voice in my 3DS! Very upbeat and cheerful personality. Certainly it was destiny that found him and gave us Mario as we know him. Great article. Beyond being an awesome voice actor, Charles is an amazing man with a great, positive outlook on life. An interview well done Brad! Wonderful interview! Best NL piece I've read in a while. I liked this. Very much. Although hearing Mario's voice and seeing that it's actually coming out of a real human being terrifies me. You asked good questions, thanks for the effort! The thing you get with reading interviews with Charles is that he is really the right man to voice Mario. Not only because of the voice, but also because he shares Mario's cheerfulness. What a positive outlook on life he has. Doesn't he voice Waluigi also? @Knuckles Yes, he voices Waluigi and Wario, along with Mario and Luigi and Paathurnax. I think he also does Baby Mario and Baby Luigi. Who would Mario be without his voice. His "wahoo's" and "here-a-we-go's!" really add to the experience for me. Such a great voice actor who really cares about the character he voices. Hes seems really down to earth but at the same time is so cheerful with such zest for life, the world would be a better place if there were more people like him. Theres something just so right about Mario's voice and it isn't from hearing it for decades. The guy is kinda scary. Inspired by Mel Blanc... I'll be damned. Never would've known that. The guy who voices Mario was inspired by the guy who voiced half of the Looney Tunes. That's a very good thing indeed. @Everybody! Thanks for all the positive comments, I'm really glad you all enjoyed reading the interview! Wow, that video at the end! I know it's true and all, but my mind just refuses to accept that Mario's voice is coming out of that guy! The difference between expectations and reality is massive! Amazing interview! Would love to meet him someday! He's the most cheerful guy ever. 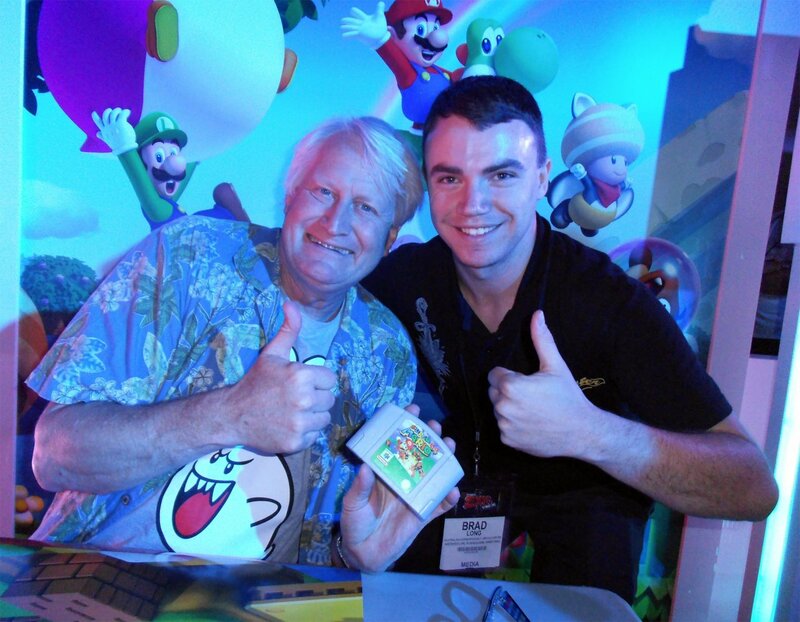 Dear Charles Martinet, your voice for Mario is really perfect!